Ball Lightning is unusual among Fortean phenomena in that most lay-people don't even realize it's Fortean! However, in spite of countless anecdotal reports, there is no clear-cut, objective evidence for the reality of the phenomenon, and many scientists remain skeptical about its existence -- there certainly isn't a generally-accepted scientific explanation for it. Now here's a book I bet you haven't got on your bookshelf! 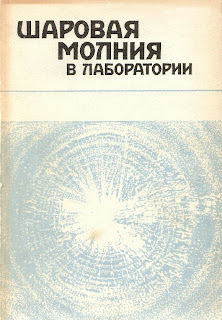 I can't say I've read it myself, but I've struggled through the title -- which transliterates as "Sharovaya Molniya v Laboratorii" or "Ball Lightning in the Laboratory". 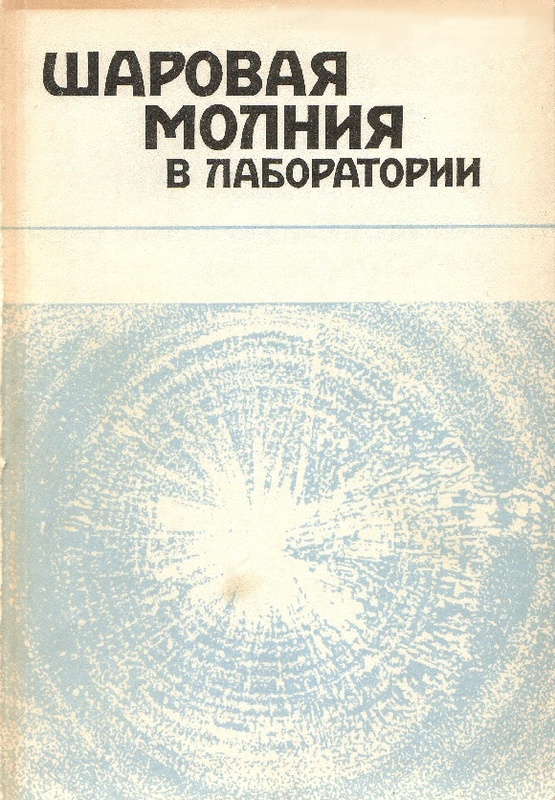 The book was given to me at a meeting in Moscow in 1996, by one of the authors -- a plasma physicist named Vladimir Bychkov. I don't think Ball Lightning was his day job (it certainly wasn't the main subject of the meeting) but he had a pet theory on the subject, and showed us some semi-persuasive videos of a glowing thing inside a glass tube. I think his theory had something to do with polymers and fullerenes, but trying to understand anything a Russian scientist says is always a struggle!